This video diary interactive booth is perfect for all occasions including weddings and corporate events. Some on-screen instructions on how to use the Interactive Video Booth are displayed so that it is as easy as possible for people to use, from young children to technophobes. 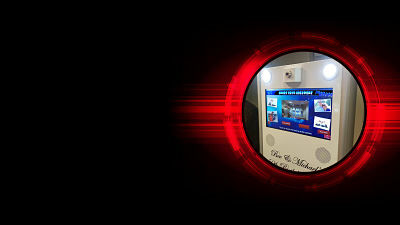 All our Interactive Video Booth come branded with your own branding if you would prefer. On the day of your event, a technician will deliver the video kiosk to the venue, site the kiosk in the best possible location and set it up, ready for your guests to use. At the end of the event, a technician will collect the kiosk from the venue, ensuring all you have to do on the day is enjoy using the kiosk. Once the event is over, the editing and DVD creation process will begin. Around 14 days after the event, you will receive your DVD of all the video booth messages. All your clips will be available to view on a private online video gallery, so you can give access to friends who can download and share the video clips on social network sites. There is also a ‘Take a Photo’ option available as well as Video Messages. Guests are now able to record their messages and now they can take random photos at any point of the day and throughout the night even well after the photographer has left! The Interactive Video Booth is usually hired out for 24 hours, but the hire times are flexible. The video booth can be hired out for just an evening event if required. Many Thanks for our video message booth .. It went down a storm ! !